I am an avid golfer who has had the great fortune to play most of the best courses in the United States, and the UK. I was forced to retire from dentistry at a young age, due to an injury sustained on one of the top golf courses in the country during a bucket list trip. I would definitely have liked a mulligan on that round of golf!!! I have turned my misfortune into a new career involving my second biggest passion…second only to helping people improve their smiles. By helping fellow golfers to plan the rounds you’ve always dreamed of, I get to relive my greatest golf moments while sharing what I’ve learned to help ensure those of us who love the game can enjoy the best possible experiences when they travel. 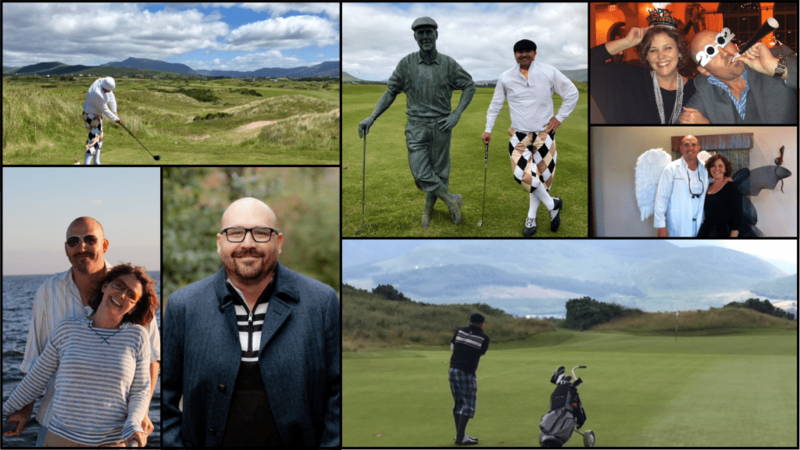 If your regular foursome dreams of a round on The Old Course, if you’ve read about the hottest new golf resort, or if you are not exactly sure where you’d like to visit, I am here to guide you. By discussing your game, the types of courses you play regularly, and how you enjoy spending your time off the course, I can ensure your trip will be unforgettable. I can’t guarantee you won’t need a mulligan on the course, but your trip won’t need a do-over! You may also may enjoy coming back to this sight weekly to read the blog about my personal experiences on courses around the country, in Scotland and Ireland. Allow me to act as your travel caddy and help you avoid wanting a mulligan after your next golf outing! Scotland for golf and France for wine.